Yup, this is something we would love to be in our closets this season. 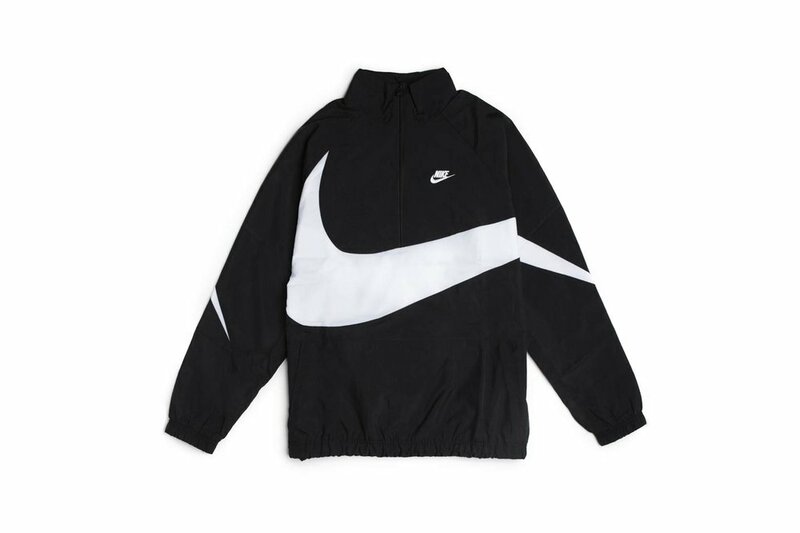 The Nike Sportswear Woven Halfzip Jacket is just too perfect. 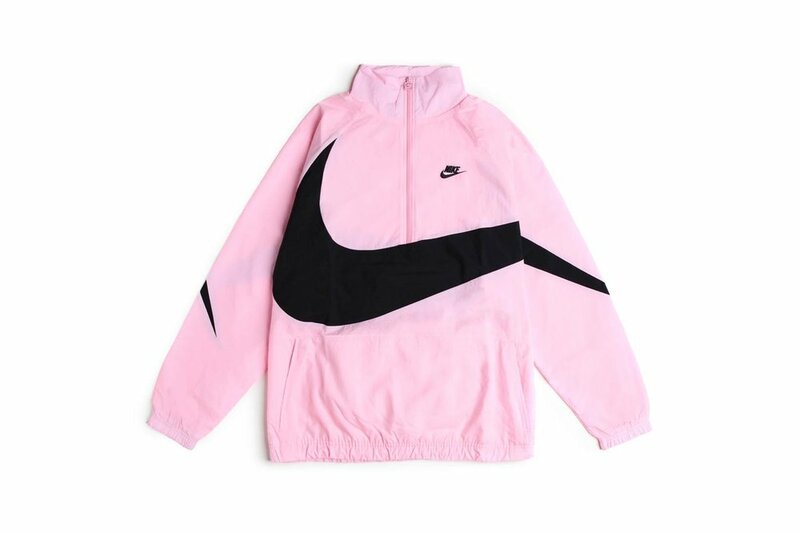 The jacket features a huge swoosh across the front and back of the jacket. You can also turn this jacket into a bag by packing it up with the back pocket. Not only is the jacket amazing but there's also the pants to go with it. You can either rock the whole fit together or rock them as separates on occasion! You can cop the jacket now for $120 USD and the pants for $88 USD. If you're looking to shop a little bit closer to home, take a look at a few similar items we picked out for your browsing pleasure.